Read this article written by Katherine, a university student who is also a mystery shopper. I’ve written many articles about ways to make money while at school - when you're too busy for a real job but need some extra cash. In addition to paid-to sites, paid research studies and the other suggestions I've made - I'd like to add one powerful new weapon to your money-making arsenal: Mystery Shopping! Mystery Shopping is a tool that companies use to evaluate their performance from a customer's perspective. A mystery shopper goes into an establishment with a situation provided by the company, in order to evaluate what actually happens to a real customer on an ordinary day. They will evaluate everything from customer service, to cleanliness, to whether the correct signage is being used. Then they report their findings back to the company so that the company can see where they need improvements. If you've ever worked anywhere, you know that the day the district managers come to visit calls for a week of deep-cleaning and everyone using their best behaviour to make it seem like that's how things always are. Management caught onto this awhile ago and got sneaky: hence, mystery shopping. As a mystery shopper, you are truly getting paid to shop. Or eat. Or get your brakes looked at. Or get a spray tan or go to the movies or talk to someone. If it sounds too good to be true, that's because scammers have been giving mystery shopping a bad reputation. While there are some scams out there (usually involving cashing cheques) - mystery shopping is 100% real and legitimate and there are hundreds of genuine companies out there! I was skeptical myself when I signed up for a few mystery shopping companies last summer and I decided not to report back until I'd gotten paid from these companies to prove that they were actually legit. Several months later, I'm here to tell you that they are real and legitimate. This is hands-down the best way for a student to make extra cash. I've actually resorted to mystery shopping as my primary source of income last semester. I'm in a small town, which means fewer companies to shop, so I'm making about $200 a month on average but when I was in a big city this summer, I was making much more than that. If you live in a large city with a mystery shopping company located in that city (Toronto is a great example of this - there are tons of mystery shopper jobs in Toronto!) it is perfectly doable to turn this into a steady part-time job. If you're willing to travel for a shop, you can potentially turn this into a full-time job. Some shops pay you just to go and talk to someone, some shops require you to make a purchase and then reimburse you later. So far, I've mystery shopped at clothing stores, car dealerships, fast food restaurants, electronics stores, cell phone stores and even a fitness centre. It's fun, it's easy, and I end up making more per hour than most of the jobs I've had so far. Many companies pay via PayPal or mailed cheque but I've also received direct deposit income with no problems at all. Mystery Shopping requires role playing. You'll be given a situation to memorize and you must stick to that situation and make it seem convincing - this may require making up additional details on the spot. 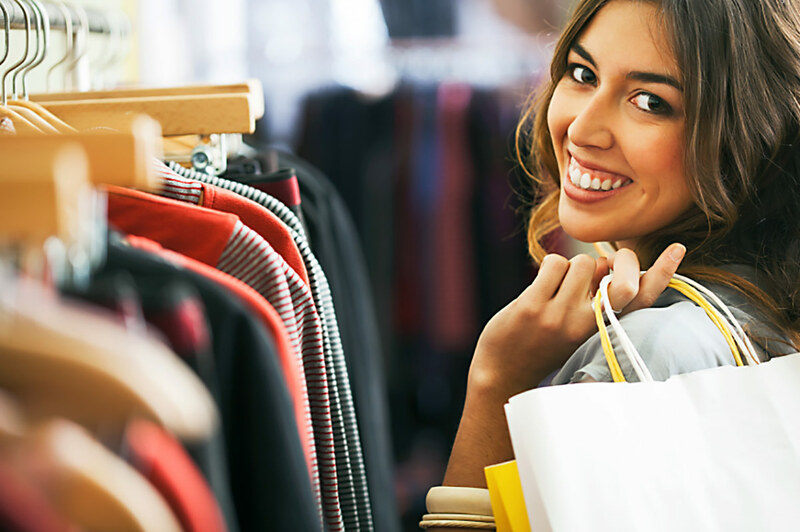 Mystery Shopping requires attention to details. This is excellent practice for students. Details may include things like, "How many seconds before you were greeted? How many TVs were turned off in the electronics department? Was there a coffee machine in the waiting room? You will need to be able to remember what details you’re looking for and remember what you saw. Some shops must be completed at a certain time and on a certain day - and all shops require a report to be filled out and submitted within 24 hours of completing a shop. This is a real job so treat it as such. Ready to become a Student Mystery Shopper? Sign up with Mystery Shopping Providers Canada and get set up with thier certified hiring companies. Select a mystery shopping job that you find interesting and pays well. Complete the job, submit your report and get paid. It's fun, it's easy and anyone can do it! What are you waiting for? Go get paid to shop!